Hawks trailed 17-20 at the break. 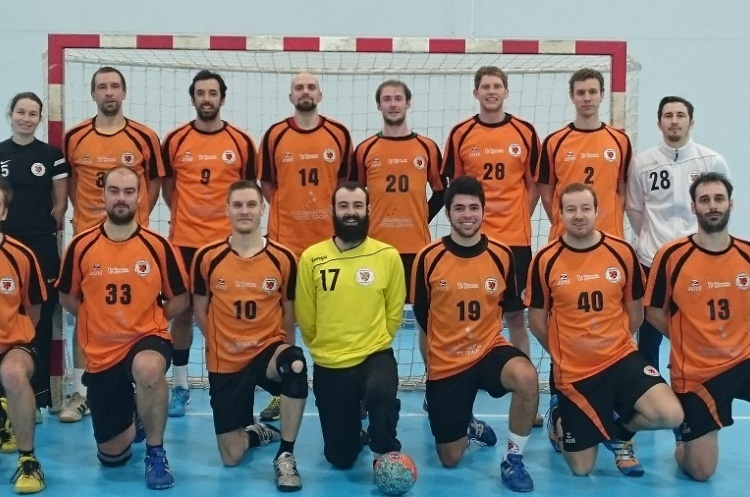 However, they showed the fighting spirit that has taken them top of the table as they scored 18 goals to Cambridge’s 15 in the second period for a final score of 35-35. Cambridge are sixth in the table, while Hawks lead is cut to two points after Warrington Wolves beat Coventry Sharks. Wolves were comfortable 41-26 winners against the bottom side to leave Sharks still searching for their first win of the campaign. Wolves, meanwhile have two games in hand on North-West rivals Hawks. Olympia leapfrogged West London Eagles into third place thanks to a 30-27 win over Nottingham in another close match. Olympia led 17-14 after the first half. The two teams matched each other after the break as it finished 30-27. Nottingham stay seventh. Eagles lost 24-35 to London GD. The result sees defending Champions GD in fifth spot and looking upwards to the frontrunners. They have games in hand on Eagles and Olympia which, as it stands, if they won would take them above their Capital-City rivals into third. Eagles, meanwhile, have now lost four-in-a-row.